Beth Porter donated to PWR as a birthday gift to her Aunt, Sandra Spivey. 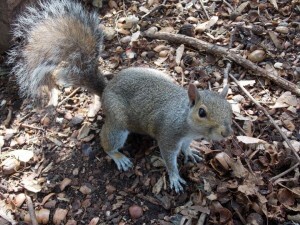 Sandra is a long-time animal lover and particularly adores squirrels, rabbits, and dogs. "Anyone who proposes to do good must not expect people to roll stones out of his way, but must accept his lot calmly, even if they roll a few more upon it."